Very oversized gift tag for deliveries from the North Pole. 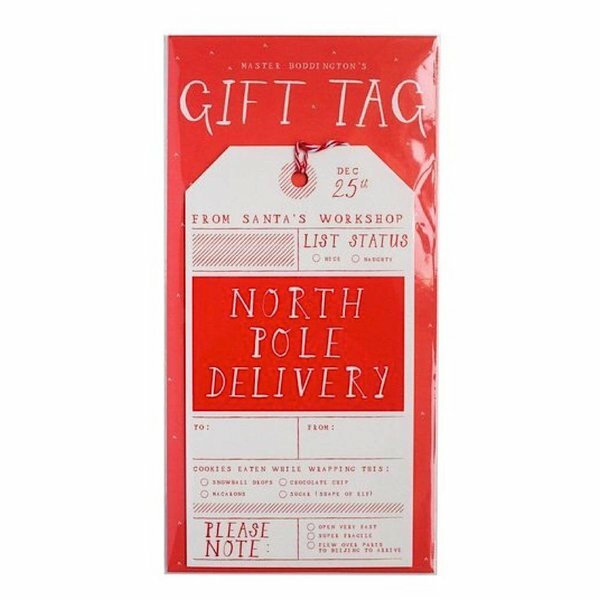 (Perfect for the special gift from Mr. Claus himself!) Includes one tag with string.